When Seth Marko discovered he needed emergency open-heart surgery, he wasn’t sure what would happen to the Book Catapult, his San Diego bookstore. Then Scott Ehrig-Burgess, manager of a rival bookstore nearby, stepped up. He offered to run the Catapult while Marko, 43, was in the hospital, and recruited eight volunteers from other bookstores to help. For more than a week, Ehrig-Burgess faithfully opened and closed the Catapult and trained the volunteers while also working at his own shop. “It’s pretty incredible,” said Marko. A very cold and wild canine. Construction workers in Estonia who saw what they thought was a large dog struggling in an icy river rushed into the freezing water to rescue the animal—unaware that they’d actually saved a wolf. The workers carried the beast, sedated by hypothermia, to a car and drove to a clinic. “He was calm, slept on my legs,” one of the men, Rando Kartsepp, said of the animal. 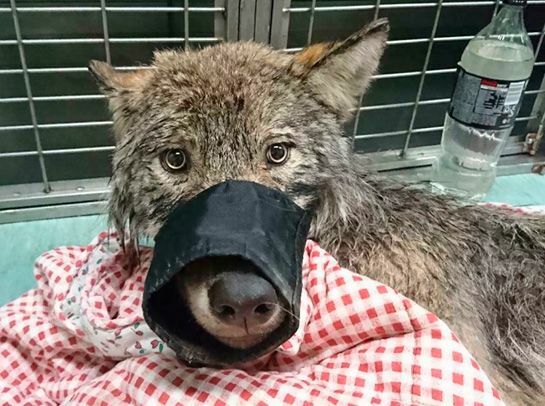 Veterinarians treated the canine at the clinic, and sensibly placed it in a cage after realizing the dog was in fact a 1-year-old male wolf. It has since recovered and been released in the wild.